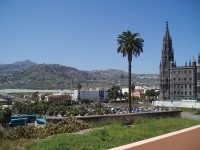 Gran Canaria has a plethora of fantastic attractions that will appeal to all kinds of travellers. Tourists travel to Gran Canaria mainly to enjoy the resorts and beautiful beaches, but there is a lot to enjoy besides sun, sand and sea. 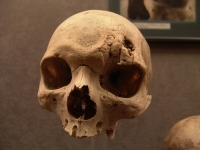 Animal lovers should head to Palmitos Park, Reptilandia and Parue de los Cocodrilo to engage with all sorts of creatures, while culture vultures should head to the Museo Canario in Las Palmas to admire the world's largest collection of Cro-Magnon skulls, or the Casa de Colon, a historic old house that is now a sort of maritime museum. For something completely different, head to Sioux City in San Agustín for a wild-west day out. 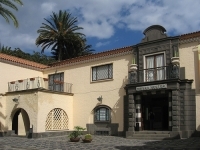 The town of Arucas remains a popular tourist attraction as well. 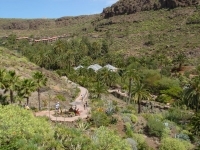 Getting around Gran Canaria to explore the varied landscapes and various towns and resorts is easy. There are plenty of cheap, metered taxis available in the resorts and towns. Grand Canaria also has reliable and efficient bus services which operate around the resorts and to all the main towns on the island; there is nowhere on the island that takes much longer than an hour to get to by bus. Local car rental companies have offices in all the main resorts for those who prefer to explore independently.